Very cute certificates. Thank you so much for sharing. I was just wondering if you have any second year certificates, like second-year Daisys, second-year Brownies? Thank you. 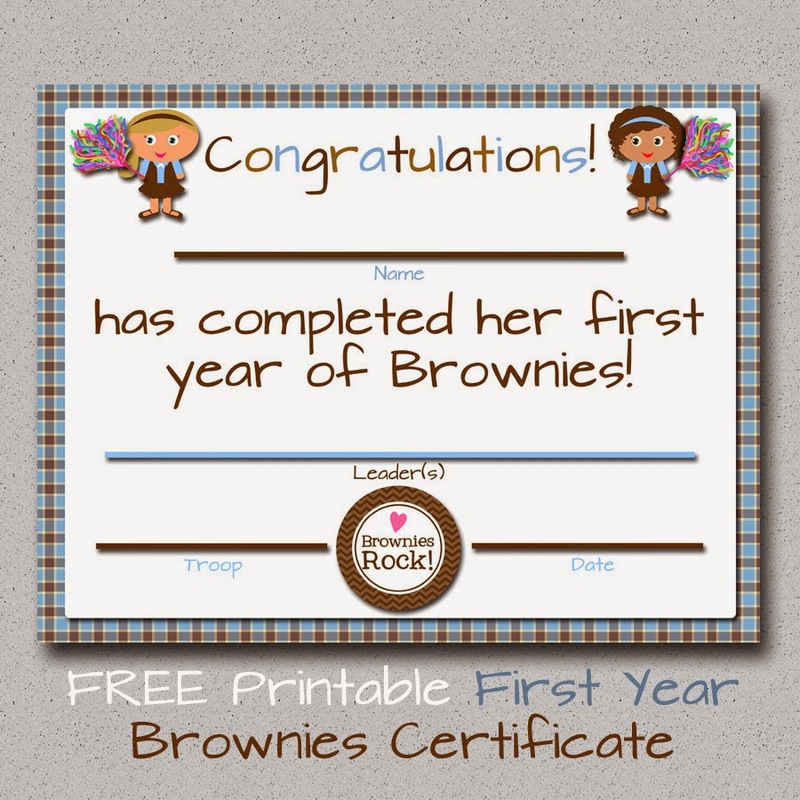 This Brownie certificate was EXACTLY what I was looking for. THANK YOU!!!!!!!! Girl Scouts 1st Year Certificate in my Etsy shop! Girl Scouts: Custom Cookie Sales Certificates!!! Daily To-Do List - FREE Printable! Disney Countdown - FREE Printable!